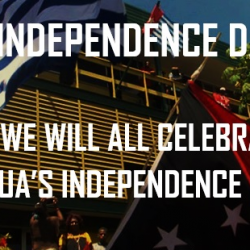 On behalf of the people of West Papua I would like to wish all our Solomon Islands family a very Happy Independence Day. 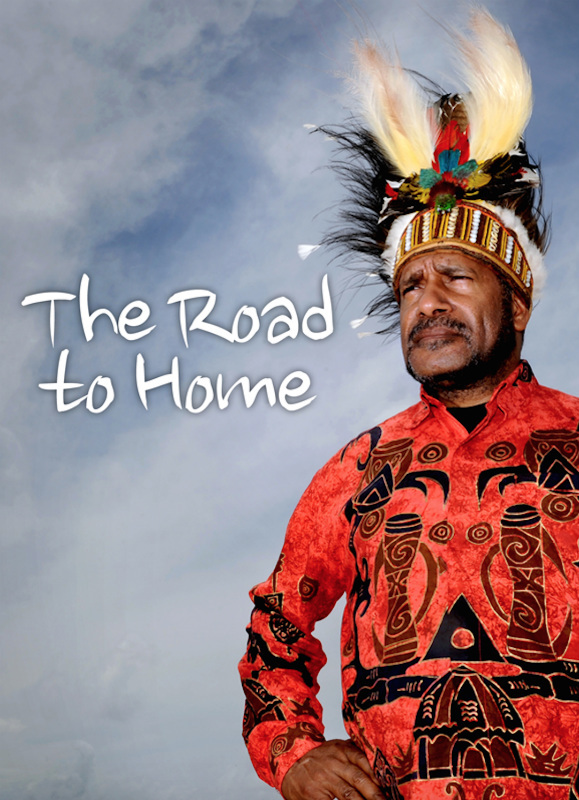 We West Papuans are always proud of our Solomon Islands family because we ONE people as you and we have a shared ancestral Melanesian history together going back tens of thousands of years. We forever remain ONE People with ONE Soul and we are very happy that our people in Solomon Islands are already Independent and Free. In these past 38 years there has been so much that our people in Solomon Islands have achieved and we West Papuans are proud that our Solomon Islands family live in peace and unity. 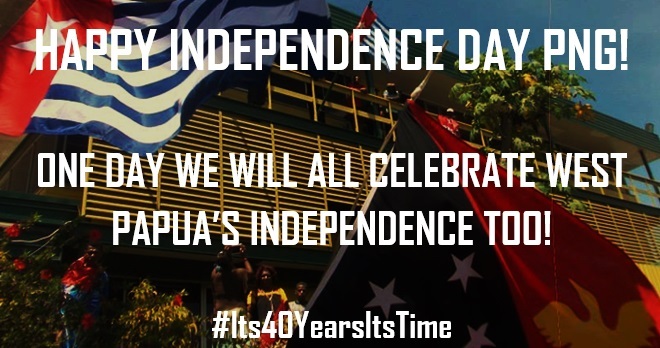 For over 50 years, we West Papuans have had no Independence Day. We have suffered and continue to suffer under a brutal Indonesian occupation that has left over half a million Melanesian people murdered by the Indonesian military and police. 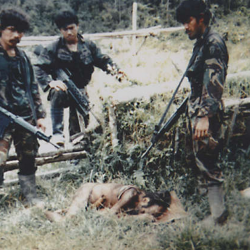 Almost every week, Melanesians are murdered by the Indonesian authorities simply for calling for freedom. 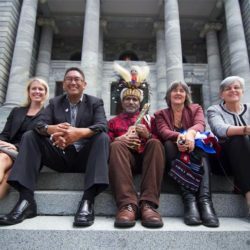 On behalf of the Melanesian people of West Papua I must say that we cannot describe our joy as we stand together with our Solomon Islands family who are committed to helping us to be fully free and Independent. 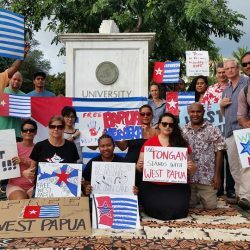 It brings tears to my eyes and joy to my heart when I see the smiling faces of our happy Solomon Islands brothers and sisters marching together with us as ONE PEOPLE to call for Melanesian West Papua to be free as Solomon Islands is. It is even more heartening to see these calls taken up directly by the Solomon Islands government and Hon. Manasseh Sogavare, Prime Minister of Solomon Islands. Both the Hon. 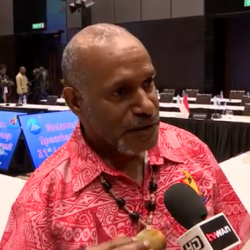 Prime Minister and Solomon Islands government have consistently shown so much true support and Melanesian solidarity for our people, including at forums such as the United Nations, the Pacific Islands Forum and the Melanesian Spearhead Group. 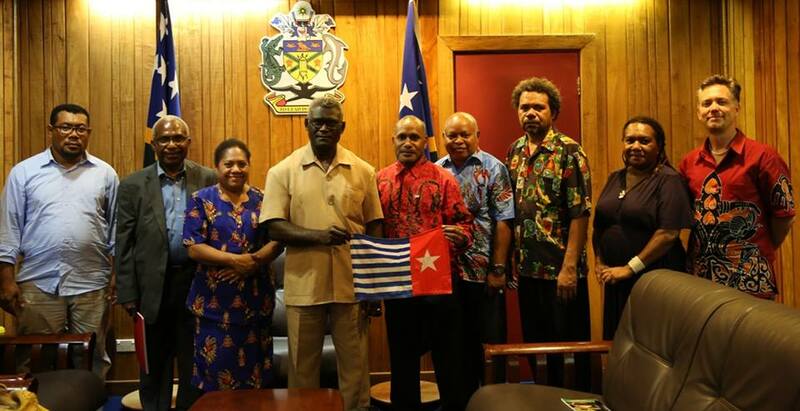 Solomon Islands’ support for The United Liberation Movement for West Papua (ULMWP)’s full membership of the Melanesian Spearhead Group is so truly welcome and so essential for our people. To our brothers and sisters in Solomon Islands, your support is vital to our very existence as Melanesians. 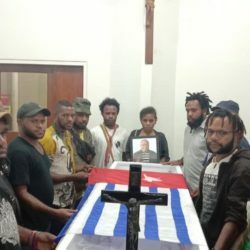 We fear that if we remain under Indonesian control for the next few decades, it is estimated that there will be no more Melanesians left in West Papua. We desperately need your support and advocacy for our struggle against this Melanesian genocide and holocaust being committed against our people. 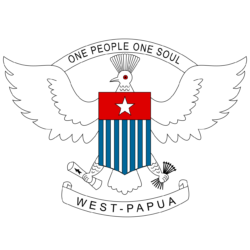 Please, tell your friends, your wantoks and your parliamentarians about their fellow Melanesian people of West Papua. 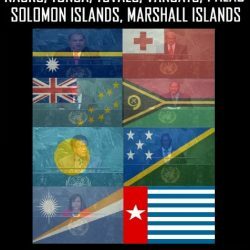 Please help us to return to our rightful place as full members of the Melanesian Spearhead Group (MSG) where we can stand proudly next to our Solomon Islands wantoks in the Melanesian family. While we cry for our own Independence against increasingly brutal oppression we look to our Solomon Islands family with hope and encouragement. 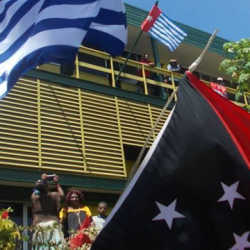 If Solomon Islands can gain Independence, we are sure that West Papua will do too and together we will join hands to make it happen and to struggle as One People for West Papua’s Independence and freedom as well. Then at last we will all come together as fellow Melanesians, as free people. We are ONE PEOPLE with ONE SOUL and we will come together as ONE FAMILY, confident in our Joy, Peace, Progress and Prosperity. Thank you very much all brothers and sisters. My best wishes and a very Happy Independence Day to you all.